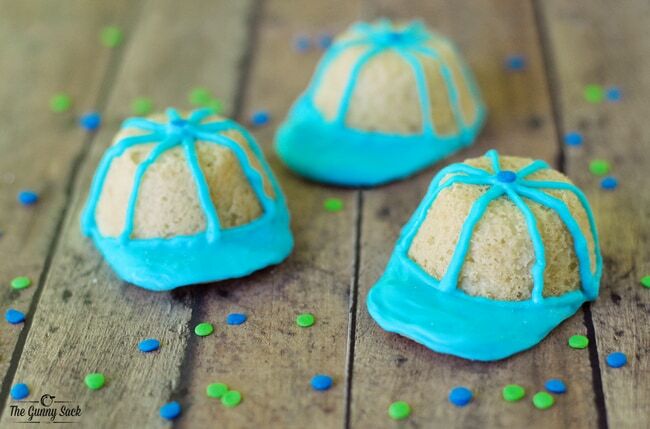 Baseball Hat Cookie Cups are a fun treat for summer celebrations. 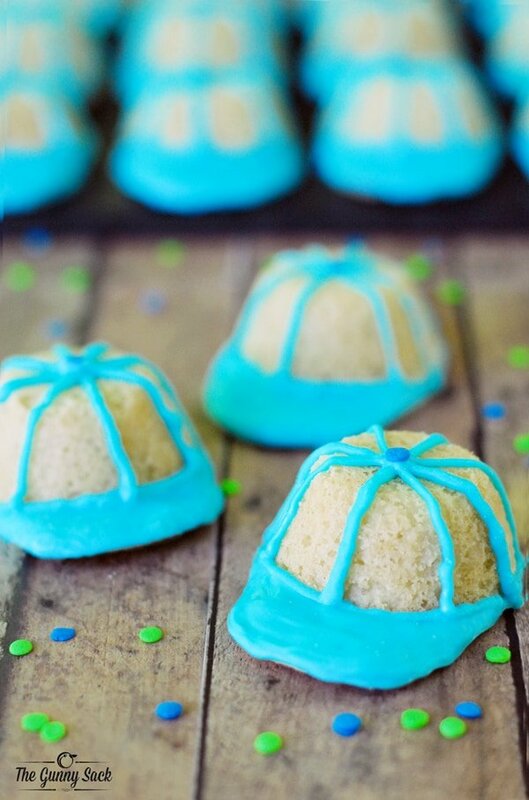 They can be made for birthday parties, sports teams and even for Father’s Day. 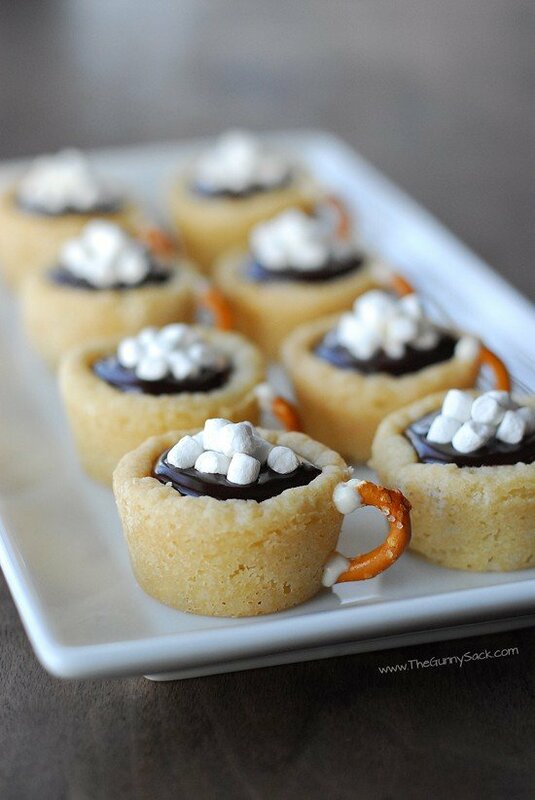 These cookie cups are filled with peanut butter cups and can be easily customized to fit the occasion. For Father’s Day, you could write dad on the front of the hats. For a birthday party, you could put the age of the child. And of course, for your child’s team, you could put the team colors! 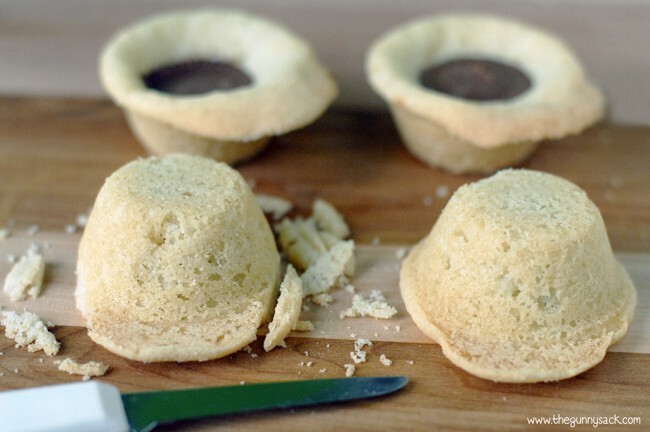 The last time that I made cookie cups, a few of them overflowed in the mini muffin tin. When I popped them out once they were cool, I noticed that the when they were upside down, they looked like baseball hats. So, I decided to run with the idea. The next time I made them, I put the dough into the pan so that the dough would form a brim. 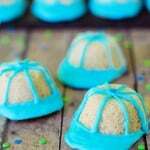 After baking, I filled the cookie cups with peanut butter cups and decorated them with blue candy melts. Bake the cookies at 350 degrees for 12-15 minutes. 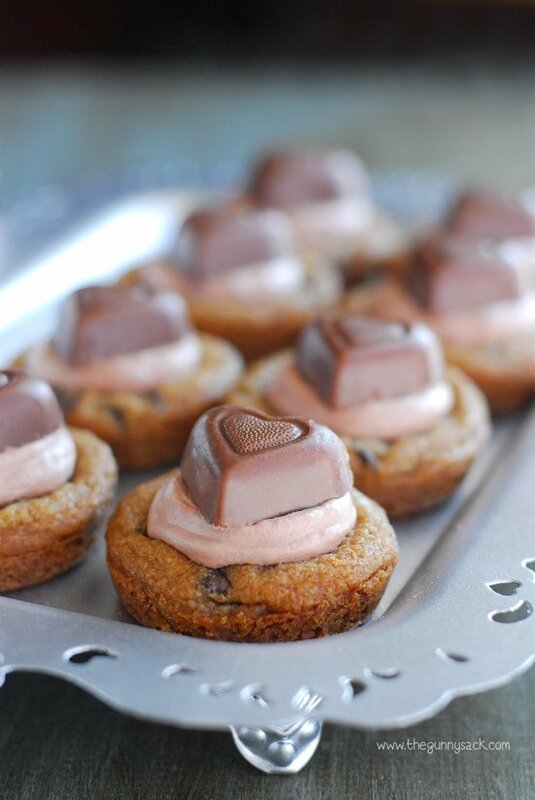 Remove from the oven and gently press an unwrapped Reese’s Peanut Butter Cup into each cookie cup. Allow the cookies to cool completely and then carefully remove them from the pan. I used a thin knife to apply a little pressure to the outside edge of the cookie cup and they popped right out. If you want to make the cookies look even more like baseball hats, use a thin knife to cut off some of the outside edge of the cookie cup. 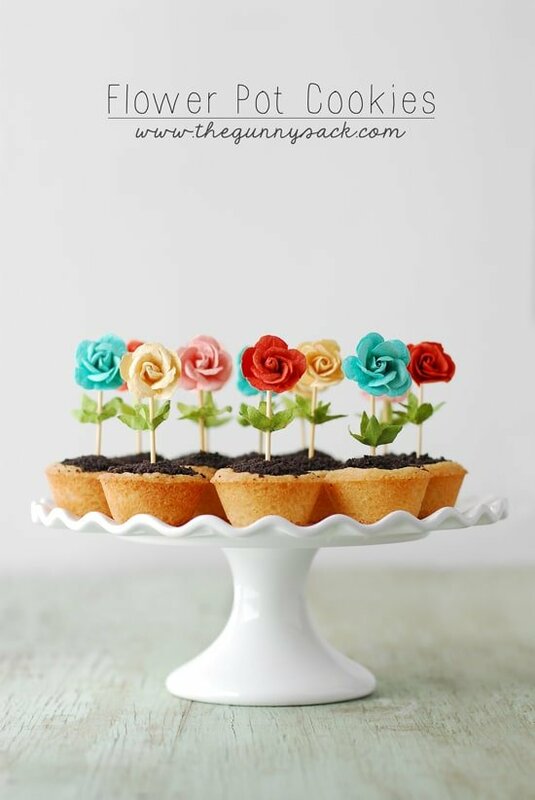 Then, you can use your finger tips to gently mold the edges of the cookie cups by pressing the crumbly edges into a straight edge. Melt several of the blue candy melts (you want to work with a small amount at a time because it will harden after a few minutes) and pour into a sandwich baggie. Cut a tiny hole in the corner and decorate the baseball hat. 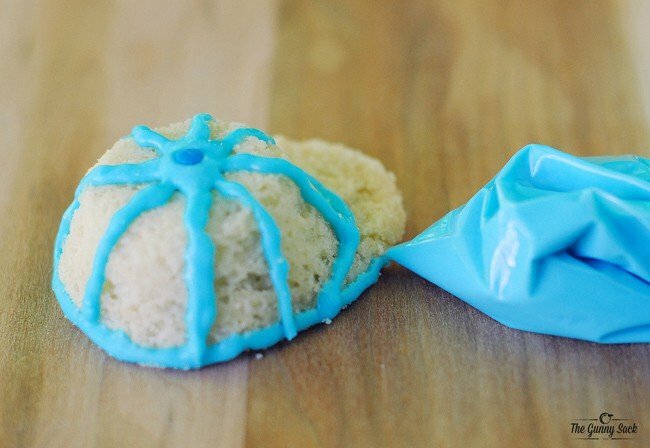 Add a blue sprinkle on the top. Melt more candy melts, as necessary. These Baseball Hat Cookie Cups are perfect for parties, your kid’s sports teams or even Father’s Day. You can customize them with team colors, simple logos or initials. 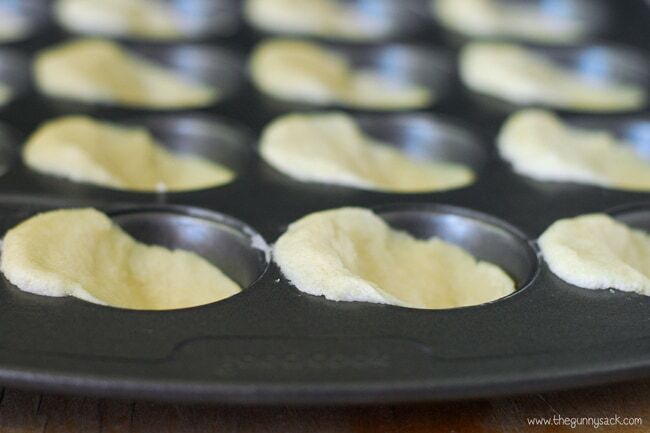 Grease the cups and the top surface of a mini muffin tin. Break apart the 24 sugar cookies in a package of Pillsbury Ready To Bake sugar cookies. Place one piece of the sugar cookie dough into each cup and mound the dough up on one side, so that some of the dough is sitting on top of the pan. Bake the cookies at 350 degrees for 12-15 minutes. 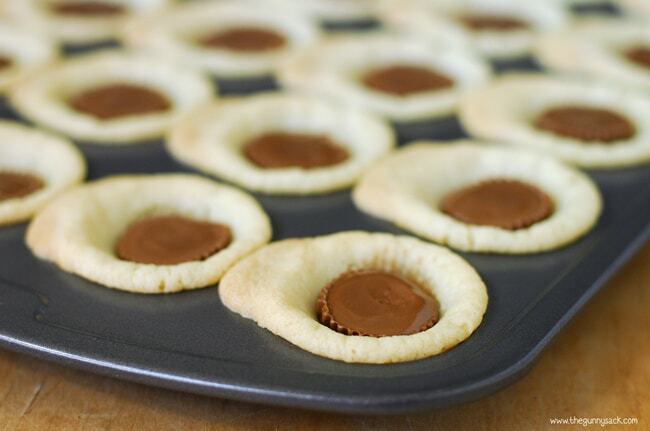 Remove from the oven and gently press an unwrapped Reese’s Peanut Butter Cup into each cookie cup. Allow the cookies to cool completely and then carefully remove them from the pan. I used a thin knife to apply a little pressure to the outside edge of the cookie cup and they popped right out. 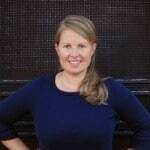 This is such an incredibly cute idea Tonia!!! My son’s baseball team would die!